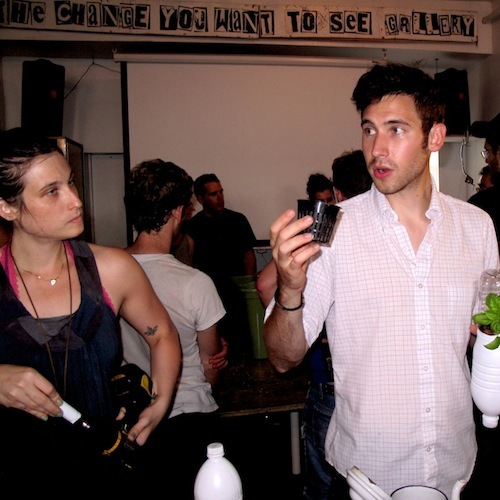 I went to DoTank:Brooklyn’s DIY Urban Agriculture Skillshare at the Change You Want To See Gallery in Williamsburg, Brooklyn. 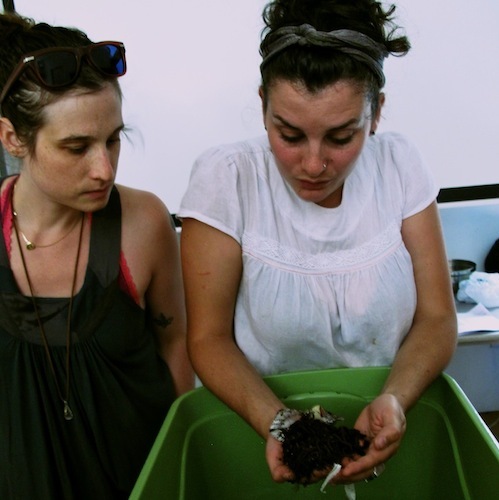 Carina Molnar of the CUNY Institute for Sustainable Cities taught us how to compost with worms in a plastic bin, Aurash Khawarzad of PPS.org showed us how to make seed bombs, and Ted Ullrich demonstrated how to assemble a Windowfarm. First drill air holes in a plastic bin. 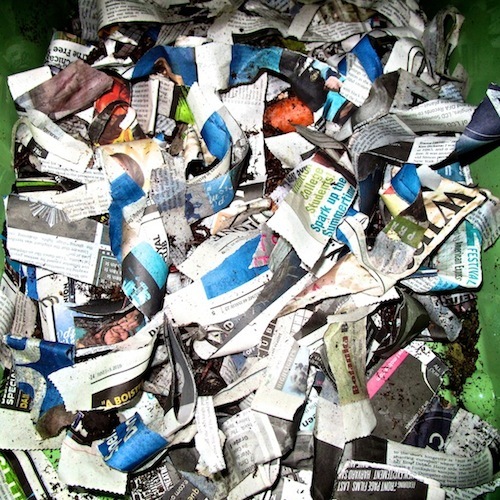 Add raw plant-based kitchen scraps and strips of newspaper. 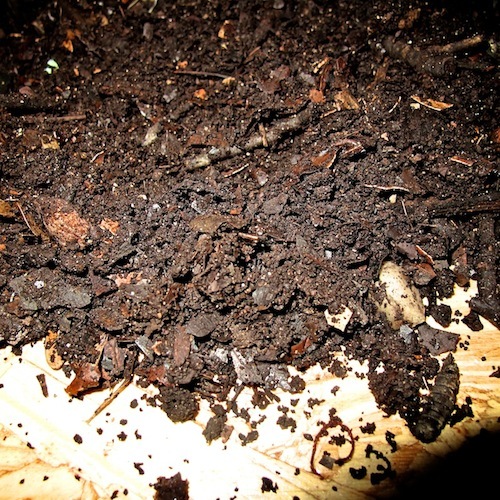 Add worms, feed them more kitchen scraps over a few weeks, aerate, moisturize and otherwise keep the worms happy so they do their thing. 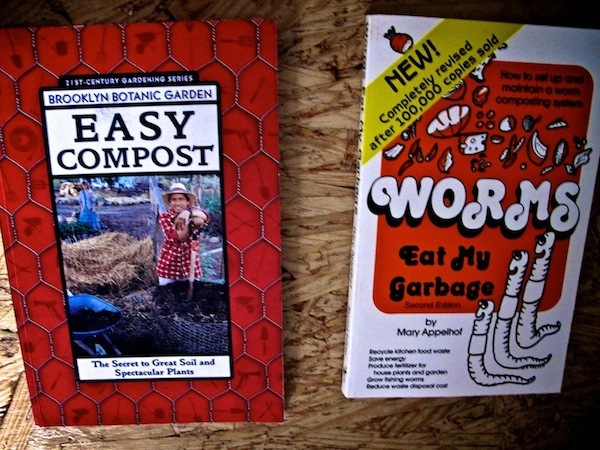 And finally harvest the compost and separate out the worms. 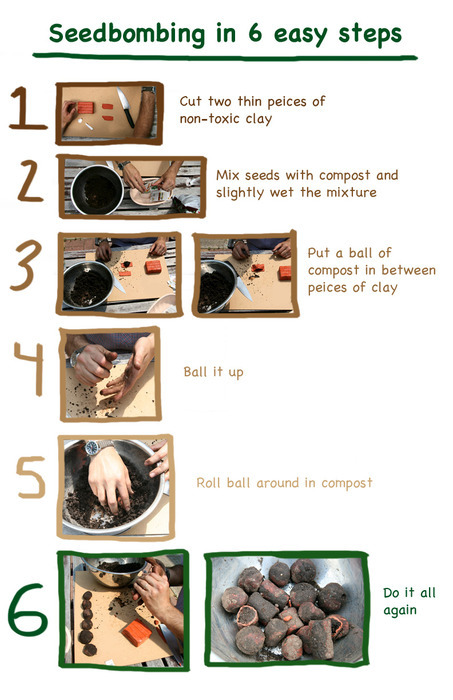 “Cure” the compost by letting it dry out a bit before adding to plants. 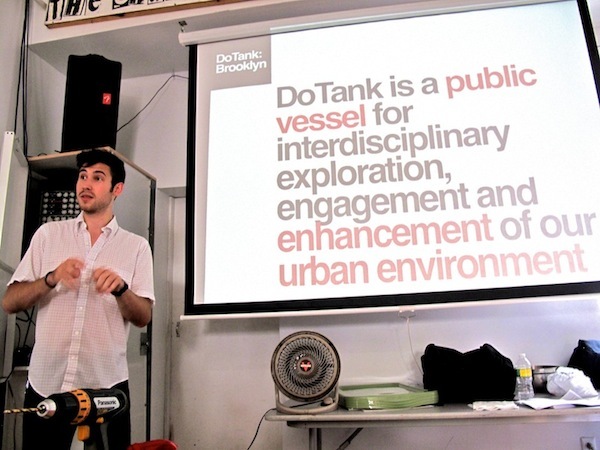 Image via DoTank:Brooklyn. We didn’t have enough knives to go around at the skillshare, so I just shaped the clay into a thin wrapper with my hands, just like kneading a gyoza wrapper. 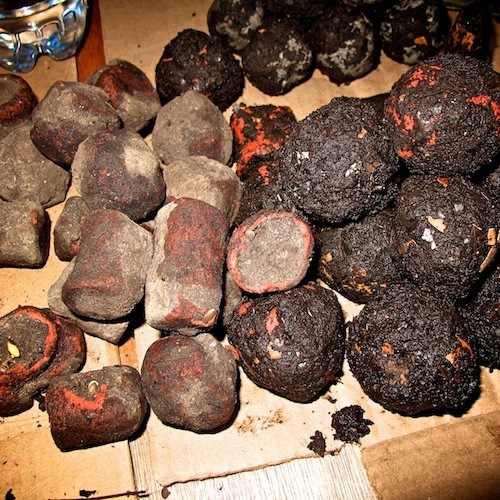 Also check out this video from the Guardian demonstrating how to make seed bombs. 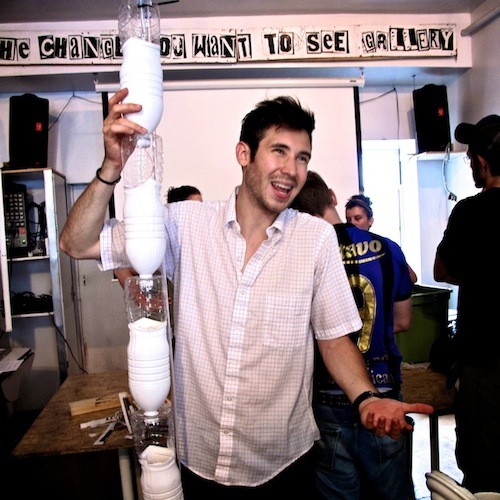 Windowfarms are vertical, hydroponic, modular, low-energy, high-yield edible window gardens built using low-impact or recycled local materials. 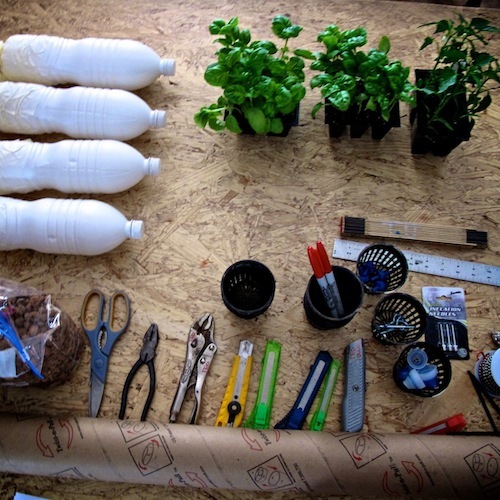 Get detailed instructions on how to build your own Windowfarms and join the Windowfarms community for additional help and support.